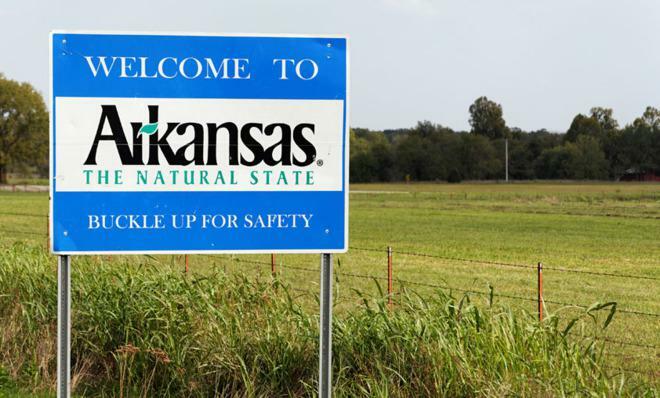 Why the state names of Arkansas and Kansas are pronounced differently. Kansas and Arkansas aren’t so far from each other on the map, but their names seem to want nothing to do with each other. Though they share all but two letters in common, Kansas comes out as “KANzis” and Arkansas as “ARkansaw.” Why so different? Kansas was named for the Kansa, a Siouan tribe that lived in the region. The Kansa people were called, in plural, Kansas, and that became the name of the state. But before it did, English, French, and Spanish speakers, as well as speakers of various Native American languages, all came up with their own ways of pronouncing (and writing) the name of the tribe. The Kansa themselves pronounced it with a nasalized “a” (rather than a full “n”), a “z,” and an “eh” sound—approximately “kauzeh.” Everyone else had their own versions, and historical records show all kinds of spellings: Kansa, Kansas, Kantha, Kances, Konza, Kauzas, Canees, Canceys … Eventually, Kansas won out. Actually, it took some time for Arkansans to come to agreement on pronunciation. In 1881, a heated disagreement between the state’s two senators, one who said “arKANzis” and the other who said “ARkansaw,” led to a ruling by the state legislature making the “ARkansaw” pronunciation official. Ever since, Americans have gone along with the s-less, first-syllable-stressed version of Arkansas. At least when it comes to the state name. The people of Kansas don’t go any further than that. For them it’s the “arKANzis” River, and “arKANzis” City. 21 fancy medical terms for mundane problems. Why you should stop ‘believing’ in evolution.